You can special order any of our Clothing, Shoes & Accessory items from our catalogs. 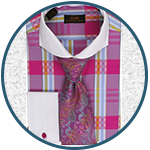 Armandos has the best selection of men's suits and shirts in the area. Whatever the event or function, we have the perfect suit for you. For those events that only come once in a lifetime, we ensure that you'll look your best. 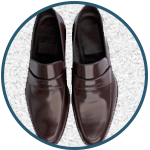 Our customers love our selection of attractive, high-quality shoes for men. We carry the latest models of shoes from brand names that are trusted worldwide. Browse our shoe collection today and find the perfect pair for your outfit. 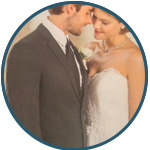 Armandos has an amazing selection of men's tuxedos and everything that compliments them and you. With the help of our trusted partners at Sarno Tux we can ensure that we cover you for any occasion. 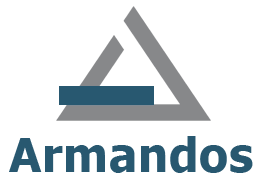 Armandos is a men's apparel store in Worcester, Massachusetts, specializing in formal wear. Along with suits, dress shirts, ties, and sweaters, we also carry sports jackets and shirts, as well as jeans and casual wear, including stage clothing and a full line of children's suits. Established in 1981, Armandos is a leader in men's fashion for central Massachusetts, and has a tailor on premises at all times. Armandos keeps pace with new fashion trends in Europe and elsewhere, finding up-and-coming styles for men in the US. We have served hundreds of thousands of customers without complaint over the course of more than three decades, always striving for 100% satisfaction. Past customers have mentioned receiving compliments on their outfit, and simply loving the way they look and feel. We are proud to be named the best clothing store in Worcester three years in a row.